Today, In This Post I Am Going To Show You How To Create And Send De-authentication Packets Using Python And Scapy Module. Python Scapy Module allow Us, To Capture, Encode&Decode Packets, Sniffing, Scanning And Many Types Of Other Network Related Tasks. Now, Let Start With Basic Knowledge About What Is Deauthentication Packet And What are Their Role In Wireless Connectivity. Q 1. What is Deauthentication Packet ? Ans. As Wikipedia Says """ The IEEE 802.11 (Wi-Fi) protocol contains the provision for a deauthentication frame. Sending the frame from the access point to a station is called a "sanctioned technique to inform a rogue station that they have been disconnected from the network". An attacker can send a wireless access point a deauthentication frame at any time, with a spoofed address for the victim. The protocol does not require any encryption for this frame, even when the session was established with Wired Equivalent Privacy(WEP) for data privacy, and the attacker only needs to know the victim's MAC address, which is available in the clear through wireless network sniffing """
Q 2. What is the Role Of Deauthentication Frames? Ans. As I Already Describe In Above Example, We Can Use deauthentication frames with spoofed address for Creating Distribution In Wireless Connectivity Between Client And Stations. 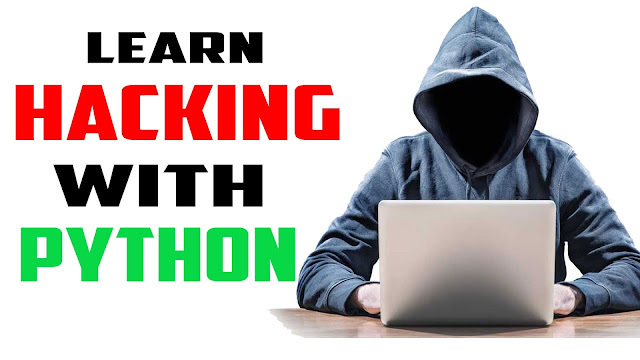 So Now, Let Me Quicly Show You How To Create Deauthentication Frames Using Python Scapy Module And To Make Our Tutorial Understandable, I Wrote my Python Codes In Simple Way And For More Better Explanation Here I Am Dividing My Codes In Small Parts. MAC Address Of Access Point Or Stations. This Is Very Important Line! So, Make It Sure You Providing Correct MAC Address Of Access Point. Here, client variable is representing Client MAC Address. In This Part, If you don't know Correct MAC Address Of Client Or Want To Target All Clients Of Stations Then You Can Use "FF:FF:FF:FF:FF:FF" Instead Of Client Original MAC Address. In This Part, We Will Create Deauthentication Packets For Station And Client Also. In Order To Make A Complete Deauthentication Packets, We Need 3 Layers RadioTap, Dot11 And Dot11Deauth. As You Can See In Above Codes, With Scapy We Can Create These Layer Very Easily With The Help Of "RadioTap()/Dot11(addr1=client, addr2=ap, addr3=ap)/Dot11Deauth()" Statements. In This Statement RadioTap() Is Representing First Layer as Wireless Packet, Dot11() is Representing Our Management layer Of Packet And Dot11Deauth() is For Creating Packet As Deauthentication Frame. And Done! Now Our Deauthentication Packet For Station Is Now Ready. Now, We Just Need To Send Deauthentication Packets To Their Targets And For This Work, We Will Use sendp(). In This Part, mon0 is Our Monitor Mode Enabled Wireless Interface. So, To Run These Codes Correctly, First You Need To Set Your Wireless Card In Monitor Mode. If You Don't Know How To Do It, Then Check Here Another Tutorial. Here Is My Complete Code For Creating And Sending Deauthentication Packets. Now, To Run These Codes Just Types below commands In terminal. In My Next Tutorial, I Will Explain You More Interesting Codes In Python for Wireless Testings.